The statute of limitations on slip and fall cases in Washington State is 3 years from the date of the incident. The clock starts ticking the day of the “slip and fall” itself—not from the day you pursue legal action. Be able to clearly describe the chain of events surrounding your accident. Why were you on the property? What were the circumstances (weather, unexpected construction)? What were you doing, and what happened while you were there? What happened after you fell? Pay attention to these details, because they will help determine who is legally responsible for this accident—and the level accountability for each party involved. Washington State weighs shared responsibility (also known as contributory negligence) in determining who is responsible for a “slip and fall.” This means damages are assessed based on which party is responsible for what percentage of an injury. a. Legal status of visitor. Did you, as the visitor, have express or implied permission to enter the property—is this your friend’s house, a supermarket, or an apartment building where you were distributing your employer’s flyers? Or were you trespassing? b. Condition of the property. If there were hazardous conditions that led to the accident, were those conditions well-marked? For example, if the floor was wet, was there signage alerting passersby? c. Actions of visitor. Were you paying attention to your surroundings on the property? Were you doing anything that might endanger yourself, such as texting while walking? Were you under the influence of drugs or alcohol? As you can see, premise liability concerns can get complicated very quickly, making even the smallest details crucial. 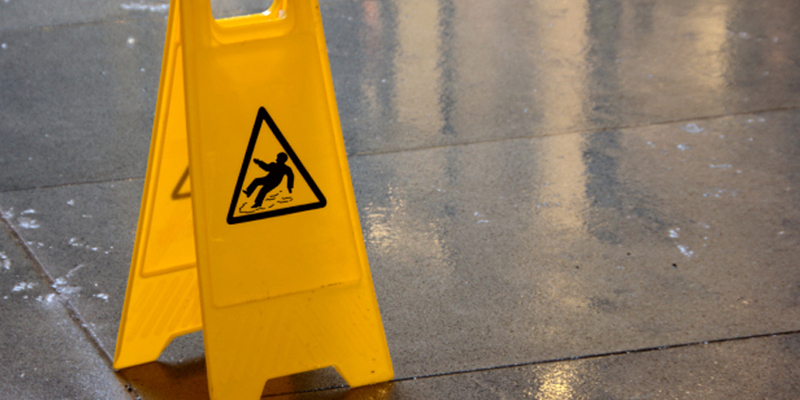 If you have been injured by a “slip and fall,” first seek medical attention. Then reach out for a free consultation to see if you are eligible for compensation. Please contact me if you’d like to know more about your rights and accountabilities in “slip and fall” accidents, and follow this blog or sign up for my newsletter to learn more about my personal injury legal services. Be safe, and thanks for reading!